Liz's Paper Loft: The Queen's Royal Court Blog Hop Day 5! Happy Friday to you! 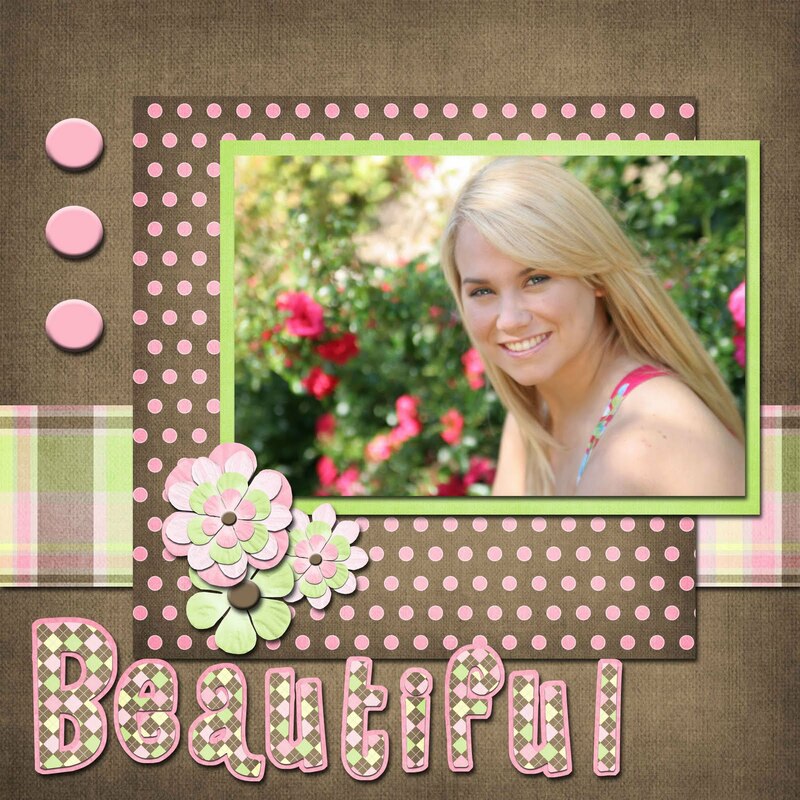 Welcome to the last day of The Scrapbooking Queen's Royal Court Hop featuring A-manda's Creation digital scrapbooking kits! Wow, I can hardly believe it's already Friday! You should got here from sweet Kassidy's place, if not you'll want to head over to the start at Her Royal Highness, The Scrapbooking Queen! Now I told you I was going to show you something that I've never posted before...it's a digi scrapbook page. Now I have to say that this was much easier than I thought. I really can't see where I would completely swich to digital, however I can see where I would use it to make a book for someone...like through Shutterfly! Now before I show you my page, I want you to know I am NOT an expert or even very proficient at this, but what I did was fairly easy and fun! can you believe all the cute stuff in this kit and it's only $1.50! Now for the best part...blog candy! Amanda is so generous that she is giving each of us one kit ($1.50 value) to give away and one grand prize that The Scrapbooking Queen will be picking! 1. Leave a comment here with your email ~ make sure you leave a comment for all 7 of us each day! 2. For an extra entry go to A-Manda Creation and subscribe to Amanda's newsletter and let me know that you did! 3. For another extra entry go to A-Manda Creation's Facebook page, "Like" her and let her know that I sent you, then come back and let me know that you did! This hop will end 7/29/11 at 11:59pm...I will be picking a winner on Saturday! See you tomorrow with a new project! Your next stop is Raven!